The RBPC 660–2000 is a highly productive CNC Pipe Cutting Line driven by a rollerbed. It comes with wheels sets and torch-to-material distance sensors dealing with pipe behavior during rotation. After loading material on the infeed buffer table, individual material lengths are fed into the cutting area with finished parts being fed out to the outfeed buffer tables for further processing. It’s difficult to perform oxy-fuel pipe cutting on pipes which tend to be oval, often with weld seams. The RBPC uses tandem wheels to absorb a major part of these irregularities, resulting into a perfect fit, which in-turn strongly reduces fitting and welding costs. 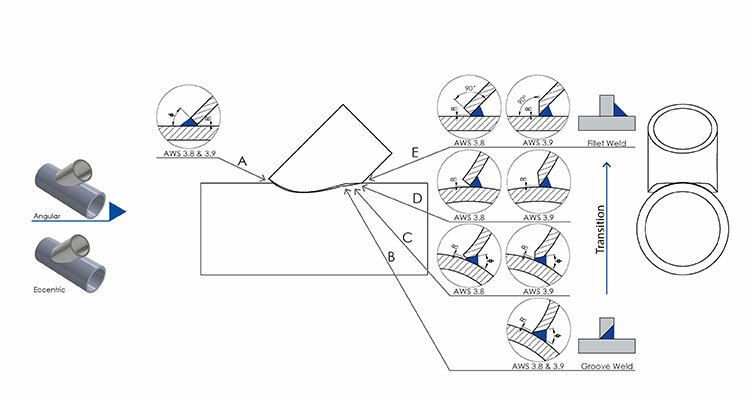 Unique software routines allow compensation of the linear movement of a pipe being rotated. This results in an accurately matching lead-in and lead-out point of the cut. A pipe-to-pipe connection with a slope less than 50° based on AWS for offshore industries. For pressure connections with a much smaller branch pipe diameter. For small sloped and highly dynamic pipe-to-pipe connections. Easy cutting, fitting and welding. What is your greatest worry in a fabrication process? Is it the complexity of the design, poor production flow management, inefficient material handling with too much material waste, loss of control over the operating expenses, or the lack of highly skilled welders? Then, how do you deal with the increasingly tough demands and regulations on welded structural design? 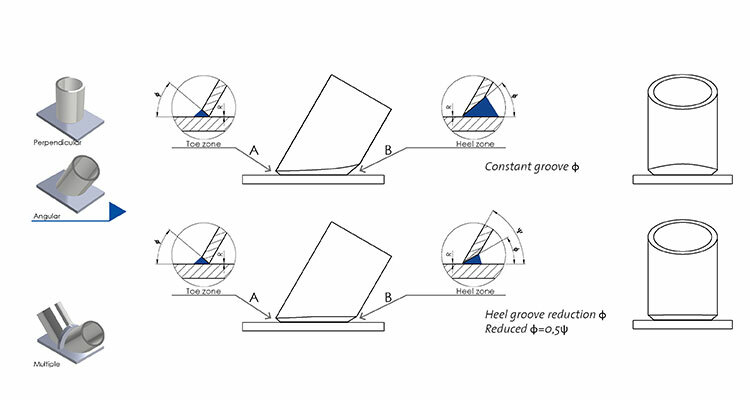 In order to fabricate cut-to-length run pipes with a bevel, you need a constant material flow. This is what the RBPC oxy-fuel pipe cutting machine excels. 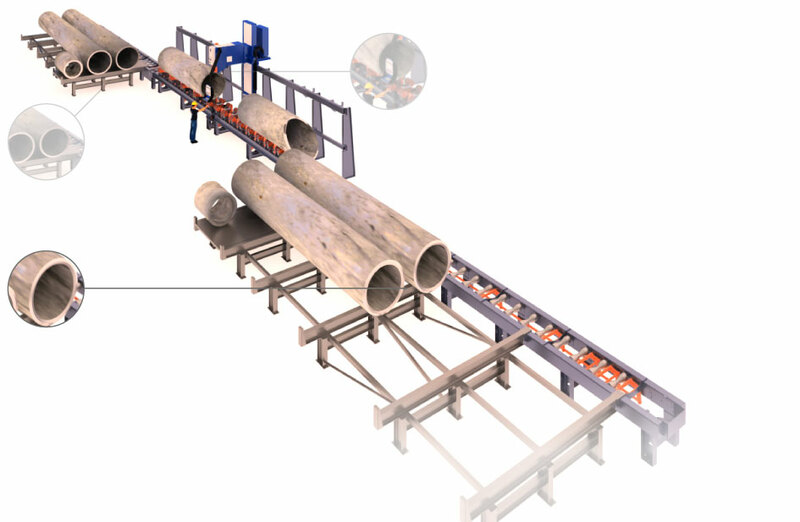 With the RBPC roller bed CNC Pipe Cutting Line, fabricating a typical header with 82 beveled holes, which typically takes around 26 hours, is reduced to only 2 hours. Pre-fabricated vessels and piping systems need to be assembled under strict pipe shop regulations. By automating the oxy-fuel pipe cutting process and applying smart weld preparation techniques, materials are ready for fast and easy fitting and welding. 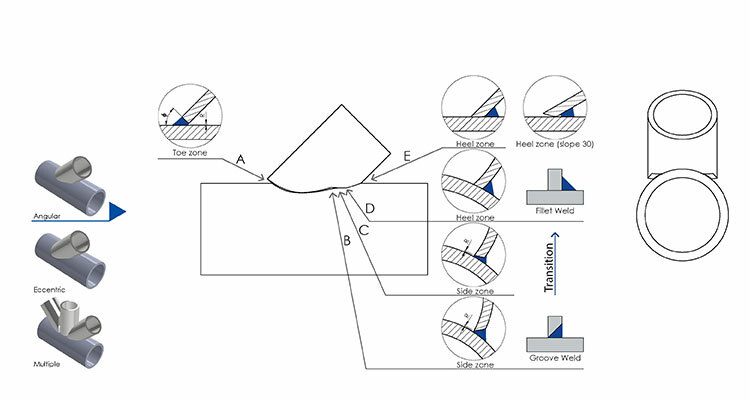 The automation of the cutting process also significantly reduces weld volume. As a result, on-site labor costs are reduced by 30%! 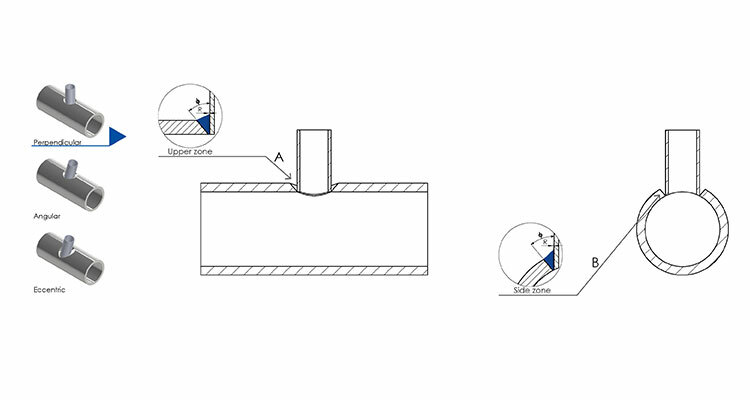 The fabrication of jacket legs and bracings cut-to-length requires a constant material flow, which is part of RBPC CNC Pipe Cutting Line capabilities. To manually fabricate an entire heli deck made of 95 pipes usually takes around 240 hours. 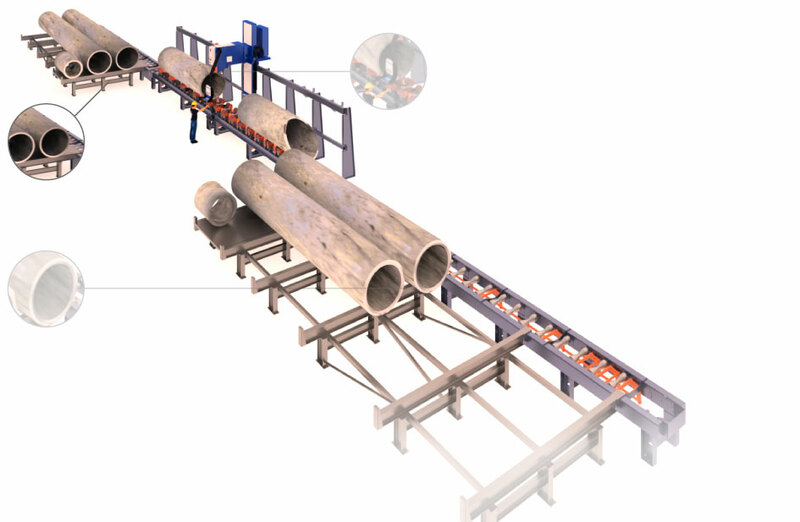 With the RBPC CNC Pipe Cutting Line, fabrication time can be reduced to less than 40 hours. Substituting manual work with automated oxy-fuel pipe cutting is an increasingly popular solution for tough project deadlines in offshore. By employing automated solutions, fabricators gain better control over the fabrication process, while saving time on fitting and welding. The RBPC CNC Pipe Cutting Line helps you deal with the increasingly tough demands and regulations on welded structural design. 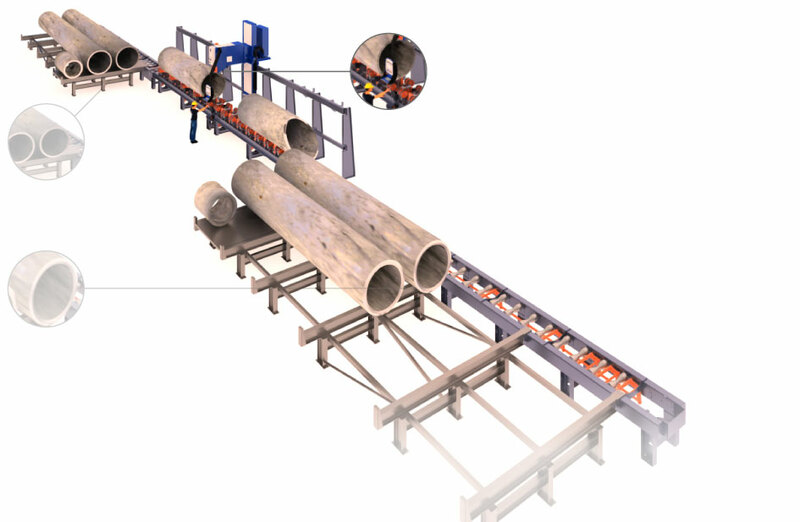 Want to know more about the CNC pipe cutting machine, RBPC 660–2000? Leave your contact details and we will come back to you in a timely manner.